Don't count on seeing an actual Apple Car anytime soon, but a future car may still run on Apple's self-driving platform. What's next for Project Titan and the Apple Car? Apple’s oft-rumored (but never confirmed) car project is reportedly being scaled back. The effort, codenamed Project Titan, will now focus on creating an autonomous driving software platform as opposed to a full-blown car, according to Bloomberg. The latest report from Bloomberg basically confirms the news organization’s own suspicions back in July. 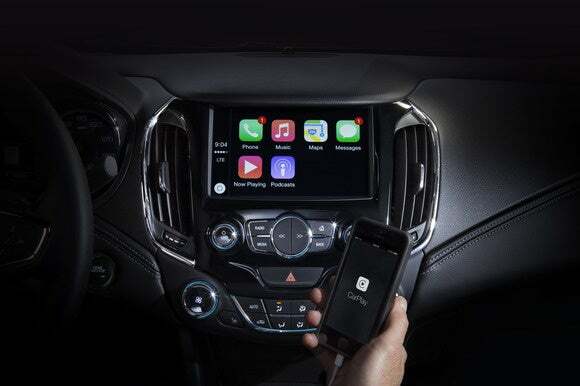 At that time, Apple hired Dan Dodge, creator of BlackBerry-owned QNX automotive software platform, which Bloomberg believed signaled a stronger focus on software. However, Bloomberg said at the time that Apple was not abandoning car development, which no longer appears to be the case. Project Titan has been scaled back with “hundreds” of job cuts, and a declaration by project leader Bob Mansfield that Apple was shifting to focus on the platform, Bloomberg reports. The original plan—or so the rumors say—was for Apple to roll out its own car around 2021. In recent months, the general consensus was that this car would be of the self-driving kind. Autonomous vehicles are seen as the future of the car industry and many companies want a piece of that future. Google has been working on autonomous cars for years, more and more traditional car companies are working on autonomous vehicles, and even Uber has plans for an autonomous car by the 2020s. As it stands right now, however, Apple’s self-driving plans will be more about partnering with other companies, or rolling out its own car at a much later date. That’s if Project Titan even gets out of the development phase. Bloomberg says Apple executives have put Titan on a deadline. If the group can’t prove the “feasibility of the self-driving system” and “decide on a final direction” by late 2017 Project Titan may never surface. Why this matters: Just like any other technology company, Apple develops and prototypes devices and software all the time. Much of that effort never ends up as a fully realized product—the oft-rumored Apple television set is a good example of that. The Apple Car is a little different since there’s so much research and development into self-driving cars. Apple may feel a little more pressure than usual to keep pace with so many rivals hard at work on autonomous cars.